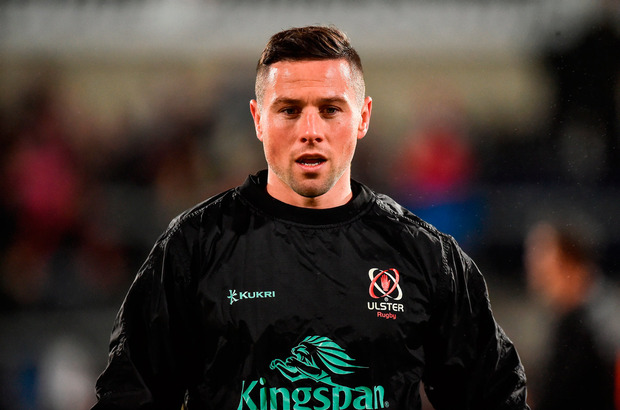 John Cooney is one of a sizeable contingent of Ulster players who hail from Dublin so Saturday is about going home and, most pressingly, throwing everything at getting one over on Leinster. Ulster last won there in March 2013, in an epic clash, and some of their lowest moments have been played out on the RDS stage whether it be from regulation season games or knockout occasions. Cooney was there last January when, in what turned out to be the final weeks of Les Kiss's tenure, Ulster were beaten out the gate by a margin of 38-7. It doesn't augur well for Saturday that Ulster are coming off another defeat, one which came against the other Irish province Cooney has represented. Being turned over by Connacht in Galway and not even taking a losing bonus point was no way to finish 2018 after four wins in succession. And with Ulster having won only twice on the road in this season's PRO14 - beating the Southern Kings and narrowly getting past Benetton - the need to produce a good performance is paramount ahead of their European meeting with Racing 92 next weekend. "They're flying," said Cooney of Leinster, though more in relation to their huge lead in Conference B than their recent struggle to beat Connacht and Saturday's defeat at Munster. "It's an important game for us and we need to try and pick up as many points as we can on the road at the moment," added the 28-year-old. "I've done that journey a fair few times (to the RDS) but I think there will be a lot (of supporters) coming down so it's important that we turn the RDS a bit more towards our colours."